Facebook is one of the most successful social networking website in about 8 to 9 years it has achieved the true success this is the biggest reason why many business tycoons are using Facebook Pages to drive tons of traffic to there website,they use it as a source of promotion and after the successful introduction of Facebook Timeline they can promote there product on a very high scale due to its new and improved features.But most of the publisher are so busy that they forgot to post updates on the there Facebook Fan Page which resulted in the down fall of Visitors and traffic too.So having automation in social networking has great impact,and it should be adopted to make your community lot more bigger , greater and better,so what you would think? if all of your post publish on your page automatically?,it will be lot easier for you,this will not only safe your precious time but also make you stress free, additionally it will make your traffic flowing consistently. You will be thinking how this would be possible,do we need to use any scripts,we have to buy it,but if I say by using a Free App from Facebook named RSS Graffiti you can easily publish your posts automatically to your Fan page. What RSS Graffiti really is? RSS Graffiti is a free app at Facebook,RSS Graffiti makes it easy to share your blog posts, Twitter updates, YouTube videos and other social activity with your friends and fans on Facebook. 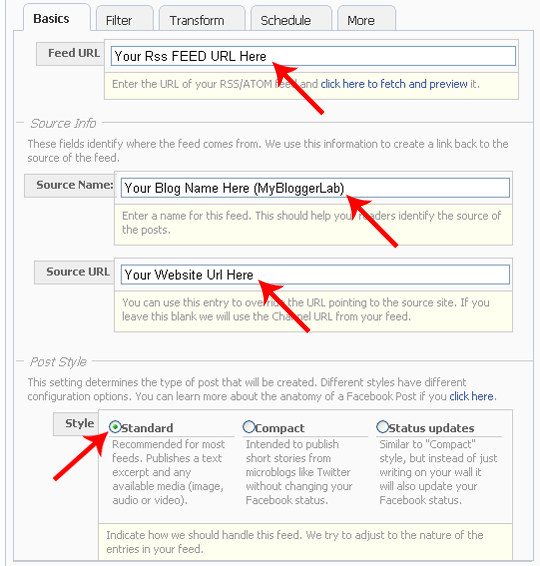 You can use RSS Graffiti with any website or social application that has an RSS/Atom feed.Once you setup your Blog Feeds,your latest Blogs update will automatically publish on your selected Fan page and profiles. With RSS Graffiti you can schedule the timing of your posts on regular basis to keep your fans and friends updated from your latest activites,posts,videos and etc. You can also link it to your twitter account,which will tweet automatically about your posts. Step3:Now Preview it if you like,then save it and your work is done soon when you will update your blog automatically your post will be published to your fan page via Rss Feeds. Important:Make sure that you always turned ON RSS Graffiti to continue automatic posting to your fan page. 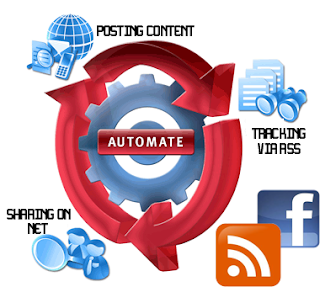 So that how you can make your self stress free from social networking,I am sure it will bring a lot traffic for your blog,if you feel any problem then don't hesitate to ask,till then peace blessing and Happy Auto posting. But Some Not Working This RSS Graffiti Application For IP Problems Why ? Finnally Found it .. Amazing Site Bro ... Got Alot Help from here .. Check my blog also and help me to grow it ..
Can I post on groups with it as well?